Through our school or education organization partners, we run workshops that prepare educators to teach computer science introductory topics, courses, or advanced topics to K-12 students. Fill out the interest form at the bottom of this page. We’ll reach out to your district / organization’s’ leadership to partner. If we already have a workshop planned, we’ll notify you once applications launch! Short (1-3 day), “anyone can teach computer science” workshops that prepare educators to teach introductory CS lessons that can be easily integrated into existing non-CS (or CS) classes, after-school programs, etc. 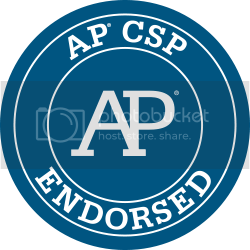 Perfect for organizations who want to supplement their programs with a taste of CS or schools who want to test drive a CS topic before pursuing training for a complete semester / year-long course. No prior CS experience necessary. A full-year, rigorous, entry-level course that introduces students to the foundations of modern computing through a survey approach. A year-long, National Science Foundation supported introductory curriculum developed at UCLA aimed at broadening the participation of underrepresented students in computer science. A two-semester introductory course that empowers students to create authentic artifacts and engage with computer science as a medium for creativity, communication, problem solving, and fun. 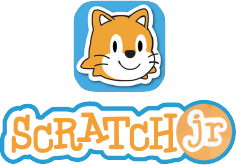 A 25-30 hour course in which students create animations, stories, and games with Scratch, an MIT-created visual block-based programming language and tool, then easily share them. Teachers will utilize the Creative Computing curriculum from Harvard to cultivate students’ computational thinking. Implementation: Can be integrated into stand-alone technology blocks or math, social studies, science, visual art, or language blocks. Mouse has designed several courses as recommended learning sequences for groups that want to focus on competency areas that complement one another thematically. Google's CS First is a free, easy-to-use computer science curriculum that is designed to engage a diverse student population in grades 4-8 (ages 9-14). Teachers use modular videos to teach kids foundational computer science concepts and coding basics with Scratch, a block-based coding tool. Themes Include: Storytelling, Music & Sound, Game Design, Animation, and Art. Implementation: Can be taught as a single lesson (sample activities), as a unit with 8-10 classes to cover a single theme, or as a class with multiple themes. Personalized guidance and support for school, district, or organization leaders to plan, build, or scale their inclusive CS programs. Code/Interactive offers counselor and administration training through Counselors for Computing and through Code.org. Topics include best practices for student selection into a computer science course, how to support a computer science course in your school with wraparound supports for students and staff, and pathways to careers in computer science. Workshops and consultation meetings are scheduled by request only. Fill out the contact form below to talk to a Code/Interactive Program Manager today. Computer science and coding have applications in every subject area, so this training helps every staff member learn about cross-curricular options for teaching content and expanding students’ computational thinking skills. Part of our training time is dedicated to developing actionable lessons to deliver to students. Fill out the contact form below to request a professional development session at your school.